Dental flossing, a part of any hygienic dental program at home or at the dentist, is perhaps the most important thing that one must do to protect teeth from halitosis, periodontal and gum diseases, and tooth decay. While it is not exactly exciting, it is a step that should not be skipped. When one visits the dentist, a good one ends with actual flossing of the teeth after the professional cleaning, partly, to teach one the importance of flossing and also how to do it. It’s important to really get all the way up and around the teeth, not just go up and down in a slicing manner. 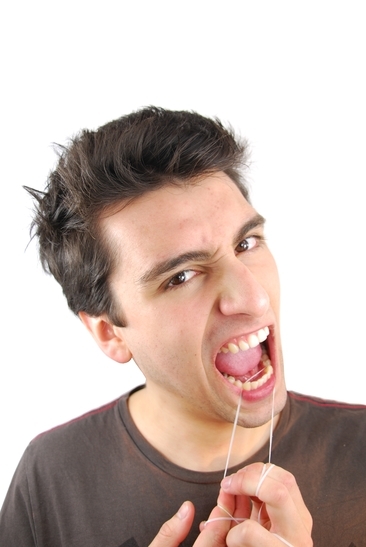 Flossing prevents food being stuck between teeth, but it also reduces the bacteria that can lead to gum disease. It should be performed every day, with no exceptions. None. Flossing is not enough if it is performed every once in a while; it really has to be done each and every day, just once not twice as brushing is recommended. When not done properly, lack of flossing can lead to gingivitis at the very least and even gum disease, which mostly can be reversed by visiting a gum specialist until it gets to the advanced stages of periodontal disease. At this stage, it is recommended to work with a gum specialist to prevent further gum loss and to halt the damage to gums from continuing to worsen. Other benefits to flossing daily include the long- and short-term benefit of feeling as if the mouth has been given a spring-like cleaning, much like the feeling one gets when one visits the dentist. Without flossing, this level of clean is not achieved, and you do not have the same level of hygiene or satisfaction that flossing naturally brings to the person who is mindful to do it daily. Flossing is extremely important to achieving and maintaining a healthy smile. Also, be sure to visit a trusted dentist every six months for a check-up. Your dentist will advise you if you need improvements to your daily dental routine. For dental services in the Bolivar, Missouri area, call Bolivar Family Dental at (417) 777-8654. We are also proud to serve the communities of Springfield, Buffalo, Halfway, Pleasant Hope, Stockton, Fair Play, Morrisville, Eldorado Springs and Wheatland.